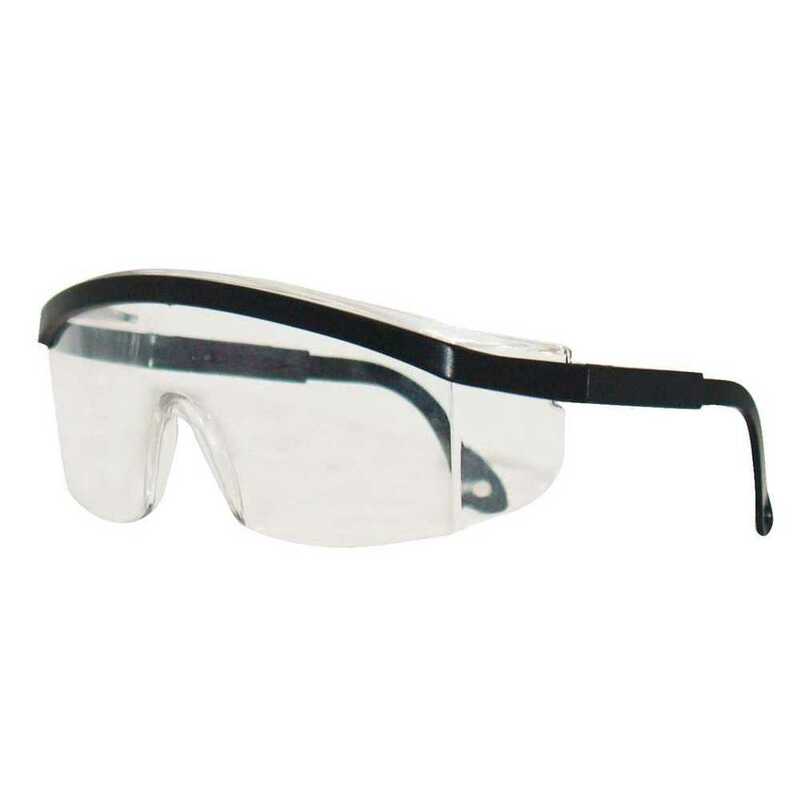 When you need an economical pair glasses that provides eye protection and comfort, the Jackson Safety V10 Expo Safety Eyewear is a great choice. They offer lightweight, wraparound protection (4 base curve) for a wide field of vision. These safety glasses have a black frame and clear lenses for maximum light transmission (ideal for indoor use) and feature three-point adjustable temples for a custom fit on any face. Plus, they offer 99.9% U V (UVA / UVB / UVC) protection and meet the ANSI Z87.1+ standards for personal eye protection. Because of their affordable price point, they are a popular choice for visitor specs.